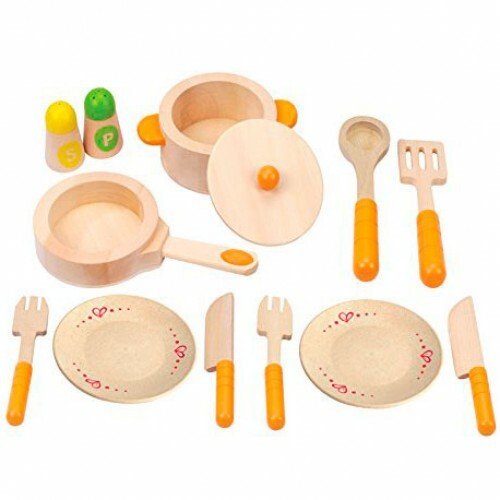 Start cooking and serving pretend dinner for your toys or friends with this quality 13 pieces wooden utensil set. 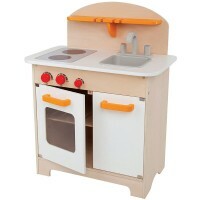 No matter how big or small your play space is there is always room for this little play kitchen! 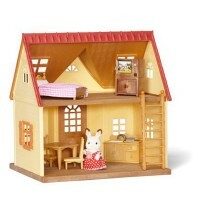 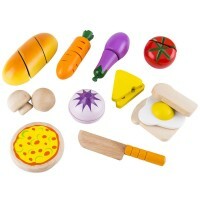 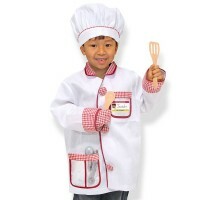 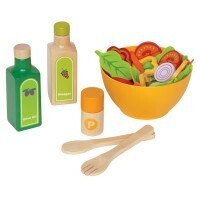 Gourmet Kitchen 13 pc Starter Set is a perfect playset to start pretend cooking or add to any large play kitchen. 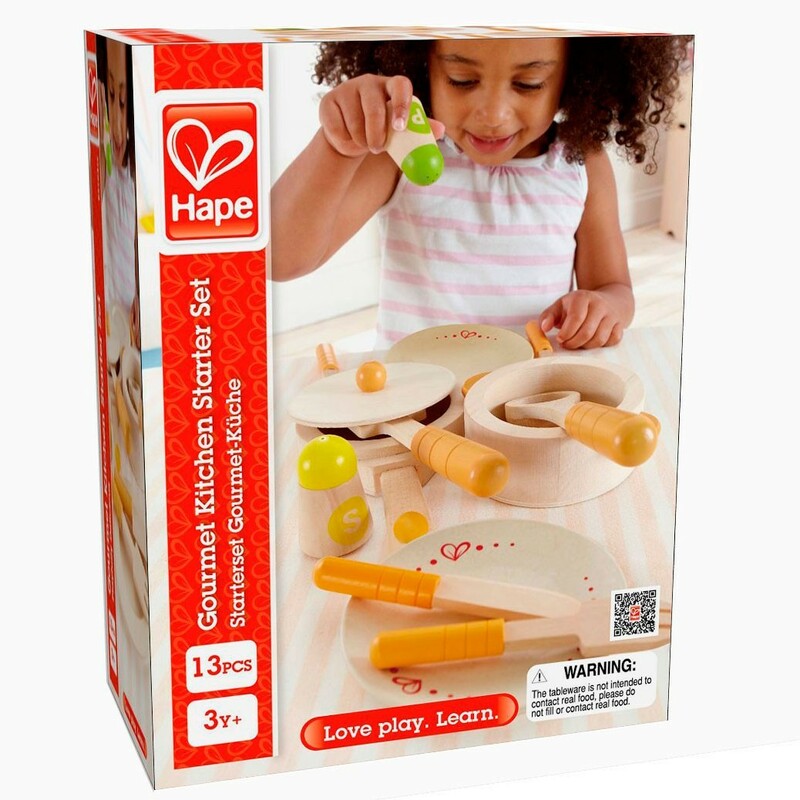 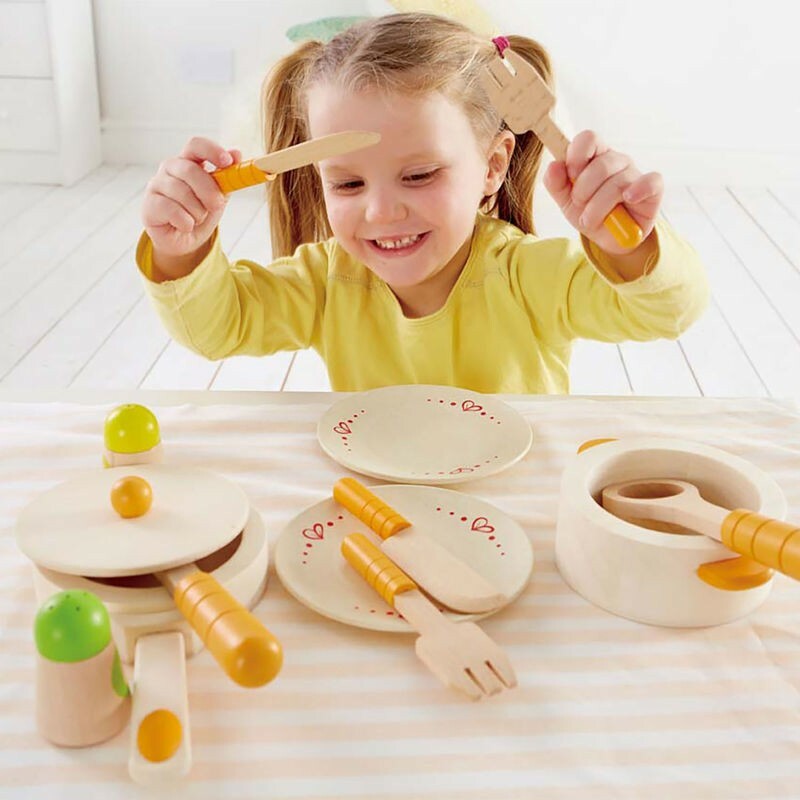 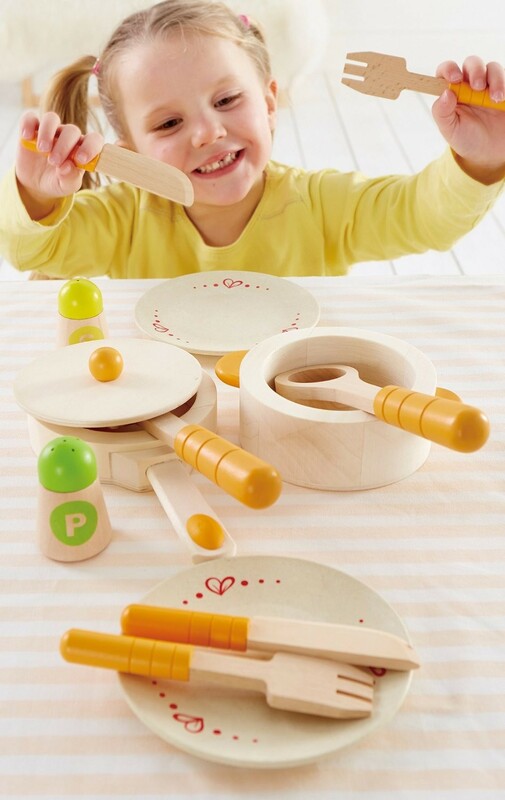 This well-made wooden dish set by Hape comes complete with minimum dishes and utensils your little chef needs to play. 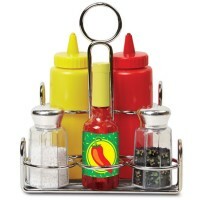 This kids utensils set includes a pot with lid, frying pan, spatula, serving spoon, salt and pepper shakers, 2 serving plates with 2 forks and knives. 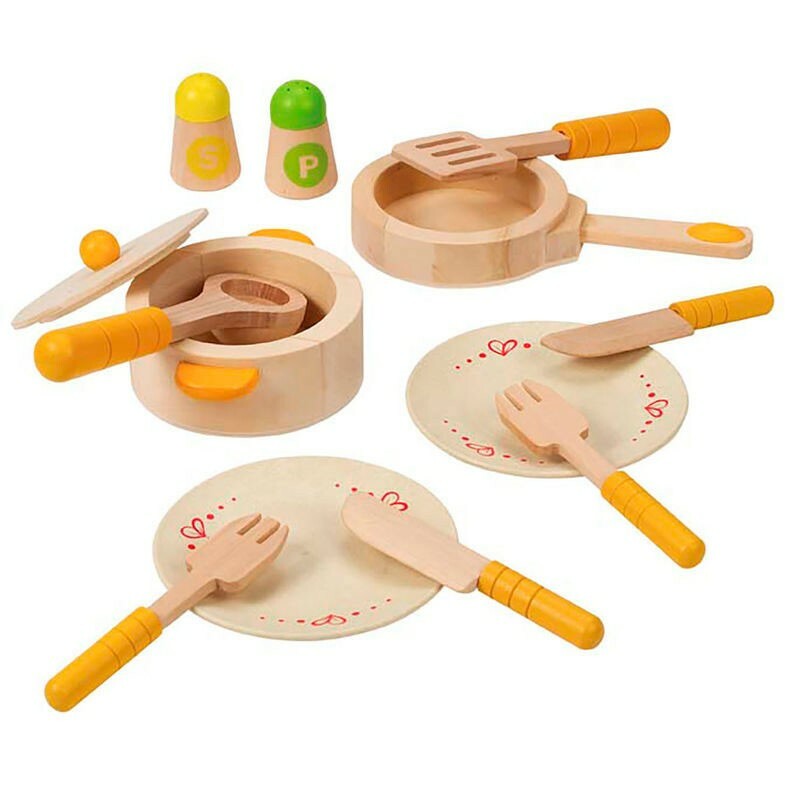 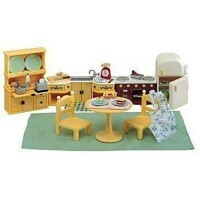 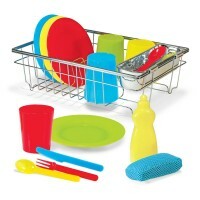 With this perfect beginner play kitchen set you can start cooking and serving pretend dinner right away. 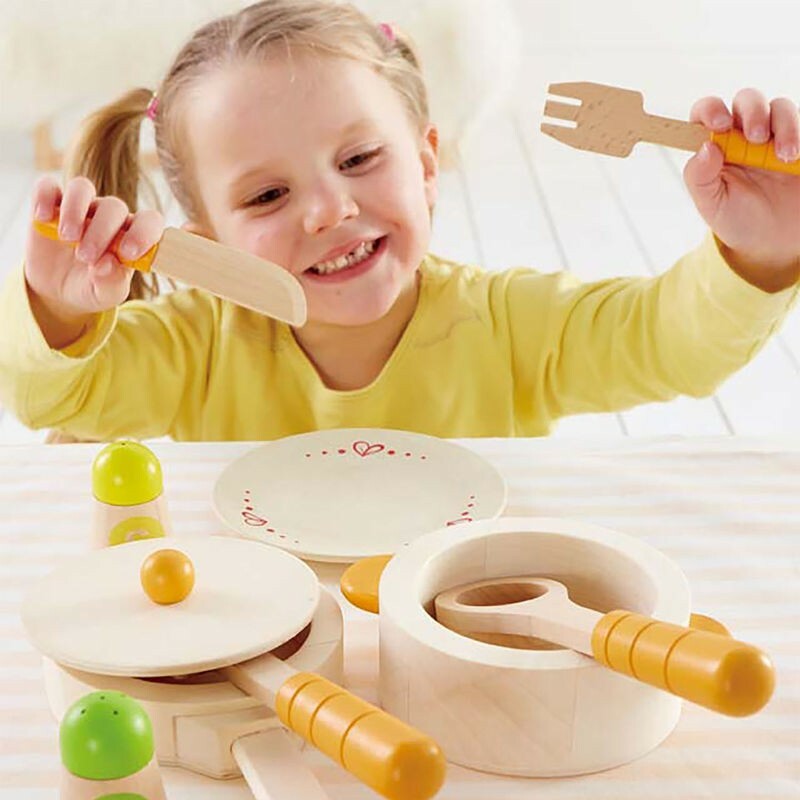 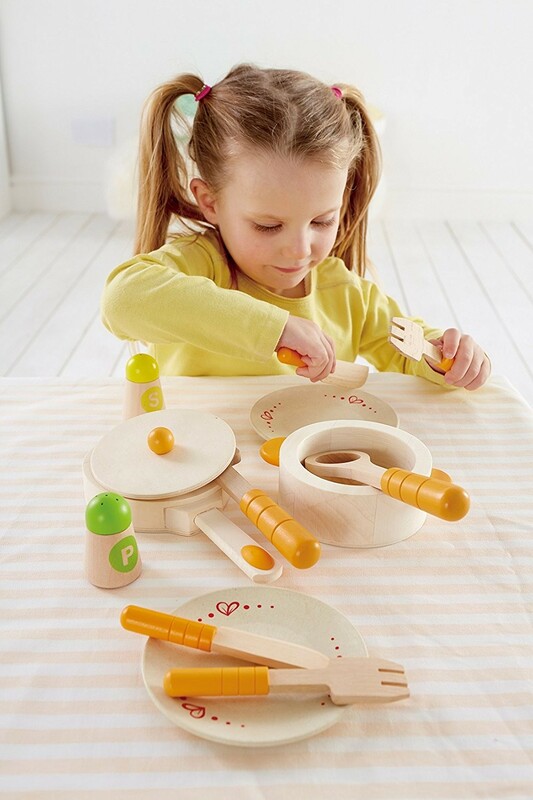 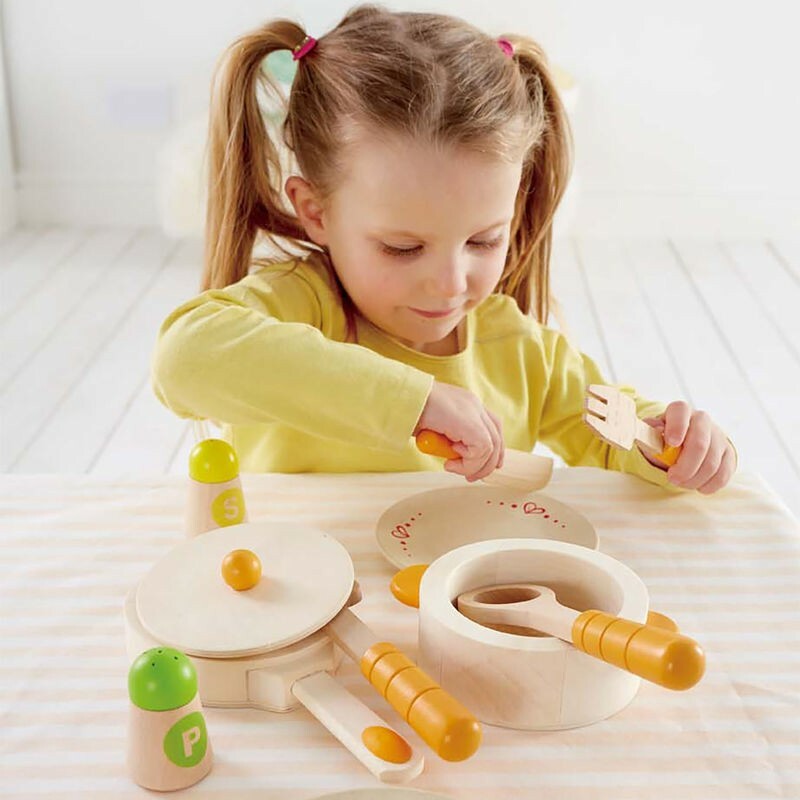 This utensil set from Educational Toys Planet includes 13 quality wooden pieces to last for years of pretend play. 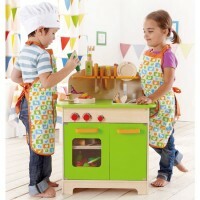 So, what's cooking in your play kitchen? 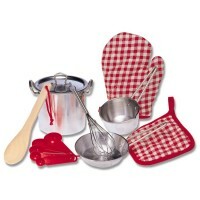 Dimensions of package 0.079" x 0.1025" x 0.04"
Write your own review of Gourmet Kitchen 13 pc Starter Set.